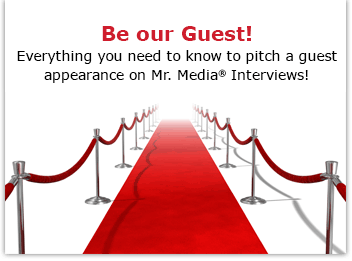 Mr. Media is recorded live before a studio audience of struggling young actors who got to know Mr. Media 25 years ago and are finally seeing a payoff today… in the NEW new media capital of the world… St. Petersburg, Florida! Every 10 or 20 years, Ward Smith and I cross paths. The first time was back in 1987 when I start a Tampa Bay area feature magazine called Jump Monthly. It neither jumped nor came out monthly, but that’s a conversation for another time. Back then, we profiled Ward – an up-and-coming local standup comedian whose father, Hugh, the long-time anchor of our then CBS affiliate’s evening news, was a local icon. In the intervening years, Ward became a husband and father and teamed up with a local radio legend, Cleveland Wheeler, and was a writer and air personality for the final days of the Morning Zoo. Some time after that gig ended, I met Wheeler for lunch at the St. Petersburg burger landmark, El Cap, and was delighted when Ward turned up as a surprise guest. The first of his “Army Wives” appearances — he plays Detective Barker — will be telecast Sunday, June 24 @ 10 p.m. He’ll be back the following Sunday, July 1. Then look for him on “Burn Notice” on July 19 @ 9 p.m. He plays an MI6 Agent named Arthur Meyers who conducts a bit of horse trading with star Gabrielle Anwar’s character, Fiona. Ward is also the voice of the “Offensive Coordinator” for the Madden NFL 2012 football videogame. And while he’s not yet a household name outside of the Smith household, he is an old friend and I’m eager to hear the details of his new life. Hi Karyn–Seeing Zappa was especially cool for me; the first celebrity interview I ever did was with Frank, was back in 1978. I hope to post it soon.